What is the reason for a corporate video production? According to a Wharton School of Business,national research survey on print versus video; a well-produced video increases information retention by 50% and speeds-up buying decisions by 72% over a print brochure. The purchase is faster by 70%. Any effective communication is determined by its clarity of purpose. Your corporate video should be created to convey one single message, promote one single product or service, or express one singular idea or goal. The key to a successful video is keeping it simple and limited to a solitary goal or intent. 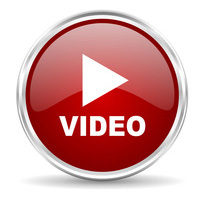 A cluttered, disorganized video will leave the audience confused, antagonistic, or wary. AMPHION Communications is a Video Production company with more than 20 years of experience in the field, that brings you quality video solutions designed to bring you great results within your budget. We help our clients -from concept to completion- to sell their products, train their employees, market their brands, and communicate effectively with their target customers. Your business or organization will greatly benefit by letting us take a look at your project. Our unique work flow allow us to produce broadcast quality programming at a fraction of the cost of our competitors. We have successfully produced videos for out of state clients, sometimes by them sending printed materials that we can use for the video production. I other cases it’s very cost effective to fly us in for a shoot.